There has been a move by Novomatic in recent years to update their vast catalogue of top land-based slots for the online market. Most players will be aware that the most popular games such as the original Book of Ra and the multi-line Reel King have been available at a few online casinos for a while. However, some of the lesser-known games have taken a bit longer to make it onto the Internet. One of those is Indian Spirit, which had to wait until 2012 to be released online. This Native Indian-themed slot is very closely matched to the land-based version, but you can expect a slightly improved RTP (Return to Player percentage) online. 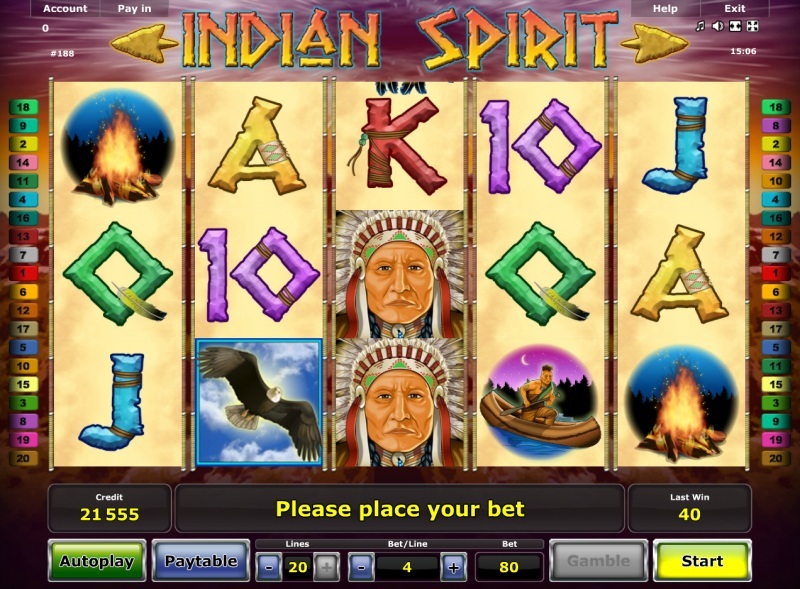 A simple game, Indian Spirit - like Buffalo Spirit or Thundering Buffalo - takes a hefty amount of inspiration from the native tribes of America, and it's all there to see on the five reels. The biggest wins generally come from landing stacked Indian symbols on the reels from left to right. Your chances of achieving this are improved significantly if you manage to trigger the bonus, as there are stacked wilds added to the reels. To trigger the feature you need to land the eagle Scatter on Reels 2, 3 and 4 at the same time. You will be rewarded with 10 free spins, with the possibility that it can retrigger at any time. 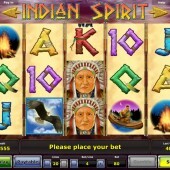 We really enjoyed Indian Spirit and it's become a must-play slot here at GamingSlots Towers. There is a word of caution with high-volatility online slots like this. Going a long time without wins can dent your bankroll, but there are alternatives, like IGT's Ghostbusters slot or The Dark Knight by Microgaming. For fans of Indian culture, however, feel free to soar in.